Corpus, Orbis, Sanis – Body, World, Healthy. 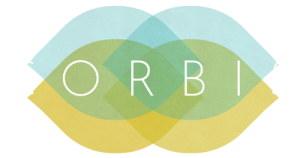 CORBIS envisions a world that is secure, healthy and just and represents a forward-thinking, diverse and accessible space for contemporary thought in global health and international development matters. Our mission is to provide a nexus for faculty and students from a variety of academic backgrounds to engage in the cross-pollination of ideas, discussion and multi-disciplinary research as part of tackling key issues in global health and international development. A focus is placed on equipping the next generation of change-makers in global health and international development with the insights, critical academic perspectives and confidence to better understand the principle issues in our changing and inequitable world. Bridging gaps in conversation in the Global Health and Development field is important to CORBIS, therefore an emphasis will be placed on linking theory with practice by promoting discussion between academics and those working in diverse global settings to improve health. A particular thematic emphasis will be placed on; the political economy of health, health security, social justice for health and health rights. The thematic focus is open to change in the future. Emphasis is on a multi-disciplinary approach towards thinking and research on global health and international development matters, through the establishment of student and faculty-led special interest groups, thematic workshops, research and publications and harnessing the diversity of thought within the global health and development community. To enable a point of entry for undergraduate and postgraduate students with keen interests in global health and development to foster the evolution of critical insights and academic approaches to international health matters. To help support the existing work in the global health and development community including the Annual Sussex Global Health and Development Conference at the University of Sussex, with our partner institutions, showcasing the leading contemporary thinking, approaches and best practice in tackling global health and development challenges. A focus will be placed on developing professional links, collaborative and team based programmes and the development of a mentorship strategy. CORBIS Sussex is independent and owes no adherence to any government, institution or to any political body and does not take institutional positions on policy matters. Research Clusters and Special Interest Groups – supported by a member of faculty, comprising a handful of students from a range of academic backgrounds with a particular interest within international health and development studies. This will facilitate the undertaking of compact academic projects providing analysis on a selection of significant contemporary issues that are encompassed by our thematic focus. CORBIS Academic Writing Group – The outputs of cross-disciplinary discussion aim to have impact in the form of regular opinion pieces and briefings based on current affairs in global health and written pieces for submission to digital media, news outlets and academic journals. Termly Forum and Informed Debates – To enable networking, discussion of ideas on contemporary best practice in Global Health and Development and presentation of recent work encompassing the global health and development community in Sussex. Skills Workshops – Advocacy for Tomorrow’s Global Health Leaders, Introductory Courses and Short Courses in Global Health and Development, led by members of faculty to develop key skills in advocacy, communication, writing and leadership for tomorrow’s global health leaders. Technical support for the Annual Sussex Global Health and Development Conference and the growth of the Brighton Global Health and Development Community.